An orange 1.6 ct mandarin garnet set in a shiny white solid silver pendant. The combination of the bright surface and the unbelievable shine of the jewel unite here to form an extremely exquisite piece of fine jewellery. It is as if you were beholding the beauty of a vividly shimmering sunset. 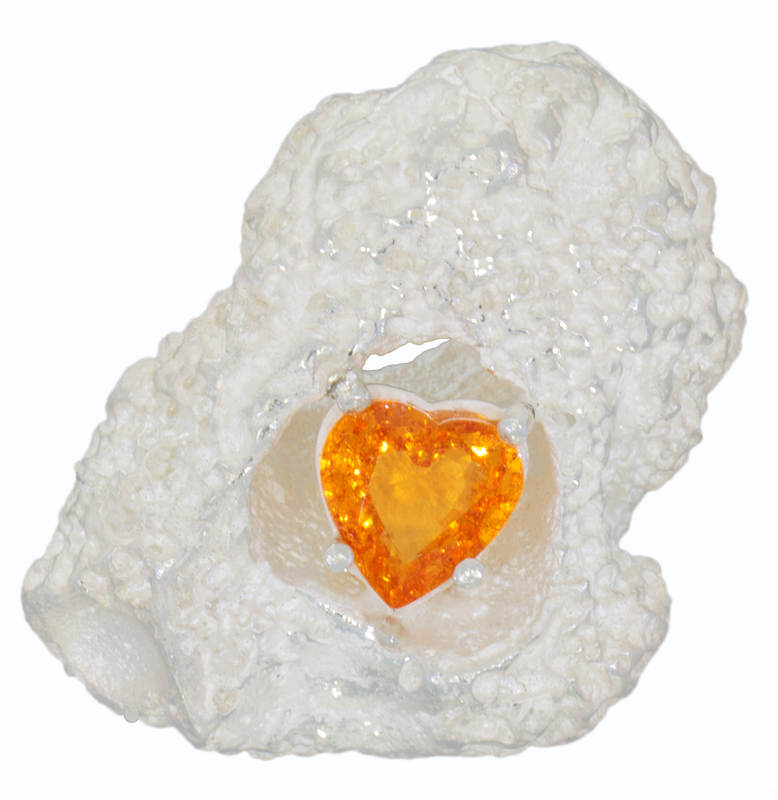 This precious stone belongs to the group known as spessartine. Its name is derived from its bright mandarin-orange colour. This stone was first found 25 years ago in Namibia. Due to its high refractive index (approx.1.8) this stone possesses a particularly special shine and its high hardness Mohs value of approx. 7 make it ideally suited for high quality jewelry. In chemical terms spessartines are made up of manganese aluminium silicates that can contain small amounts of other garnet components (4-15%). Especially the magnesium aluminium garnet (Pyrope) has an influence on the bright orange colour where higher concentrations of this component create a reddish orange hue. The mandarin garnet’s distinctly individual composition makes each piece a truly unique piece of jewellery.